Love the look of chalk paint but not the price tag that comes along with it? 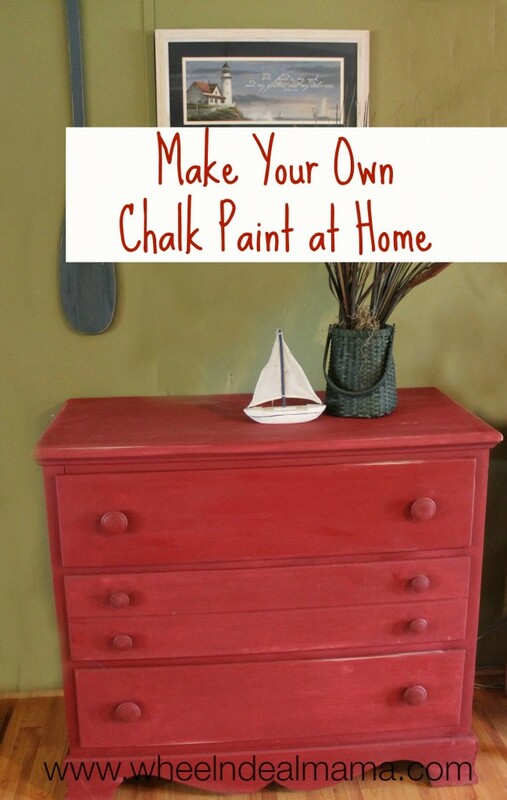 Try making your own chalk paint at home. Get the same results for a fraction of the cost, chalk paint can cost upwards of $30-$40 for a small can. This version was only about $11, and I have leftover paint after painting an entire dresser, and a lot of plaster of paris for other projects. So depending on the size of your project it may only run you a couple dollars in supplies. 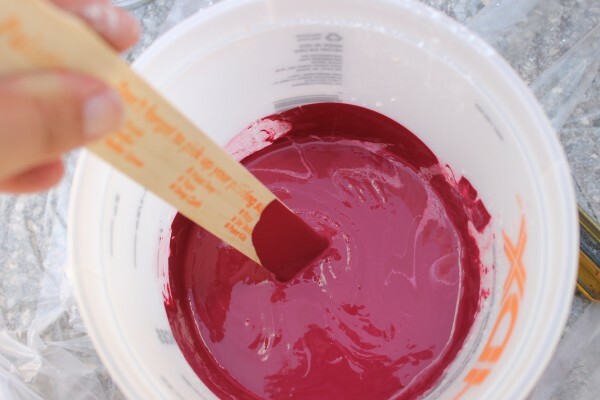 I prefer to make this paint in small batches, even if I have to make a second batch, or even third. It keeps the paint a little looser so it doesn’t thicken too much. I happened to find a quart of latex paint already in the color I wanted, but you can grab a paint sample card, find your color and have it mixed. Be sure to follow me on Pinterest for more crafts, recipes + more! 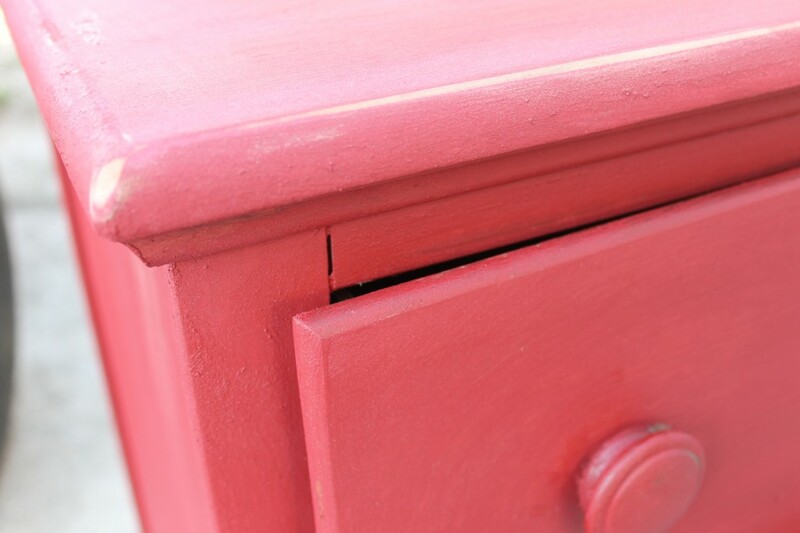 If you are painting something that has been previously painted or stained first you will want to remove hardware and sand until all the shine is knocked off the finish. Wipe it down with a slightly damp cloth to remove all the dust. 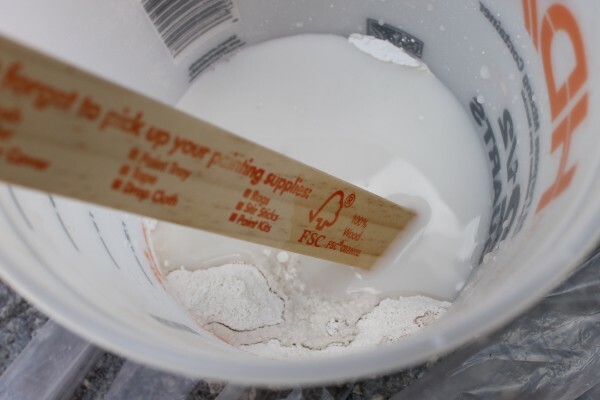 In your mixing container combine water and plaster of paris until dissolved. Stir in paint until well mixed. Paint mixture will be thick and somewhat gritty, paint first coat quickly. Cover remaining paint, if any, with plastic. Let it dry completely and add another coat or two if desired. I only needed a “partial” second coat to fill in spots that were a little too bare, and joints in the furniture. If paint is too thick add a bit of water to thin it out. 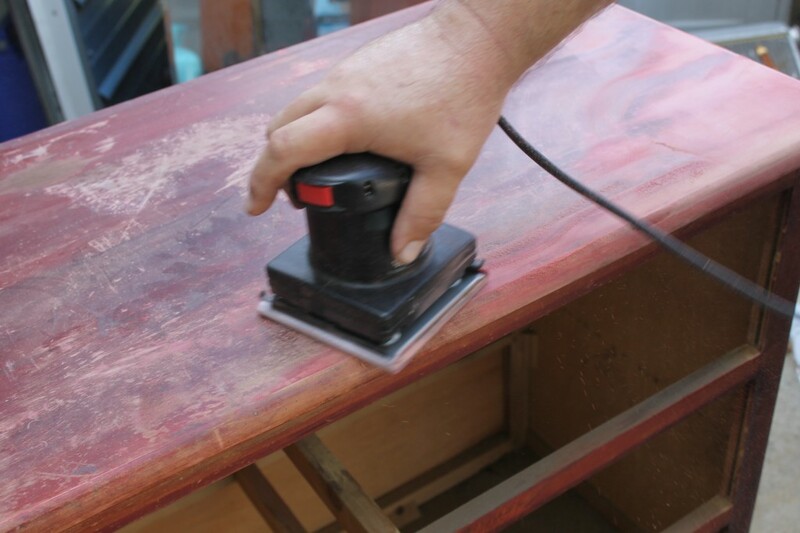 Once painting is done and completely dry, if you want to distress your piece, hit it with a sanding block or palm sander. Distress the areas that would normally take a lot of wear- the edges and the pulls. To finish – coat with Minwax paste or similar wax product. You can use a light or dark wax, or a combination of both to create your ideal aged affect. Have fun!! If you make some, come back and let us know how it turns out!